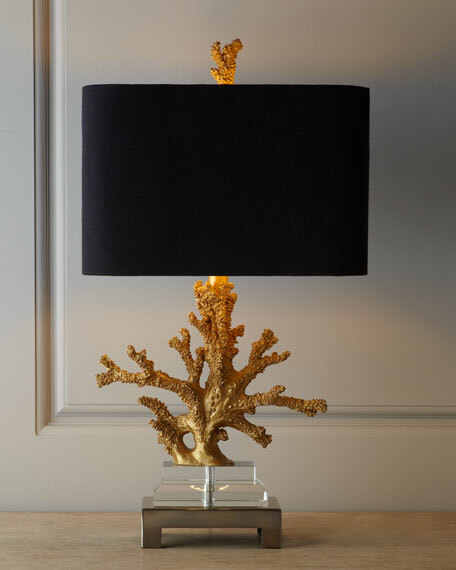 Lamp features a body and finial of faux coral faithfully reproduced in a multi-layered golden finish. Hand-cast resin base on an optic crystal and metal foot with a brushed-brass finish. Polystyrene-backed linen shade with gold-foil lining. 14"W x 9"D x 25.5"T.